The Ca2+-dependent release of aspartate from hippocampal preparations was first reported 35 years ago, but the functional significance of this process remains uncertain. Aspartate satisfies all the criteria normally required for identification of a CNS transmitter. It is synthesized in nerve terminals, is accumulated and stored in synaptic vesicles, is released by exocytosis upon nerve terminal depolarization, and activates postsynaptic NMDA receptors. Aspartate may be employed as a neuropeptide-like co-transmitter by pathways that release either glutamate or GABA as their principal transmitter. Aspartate mechanisms include vesicular transport by sialin, vesicular content sensitive to glucose concentration, release mainly outside the presynaptic active zones, and selective activation of extrasynaptic NR1-NR2B NMDA receptors. 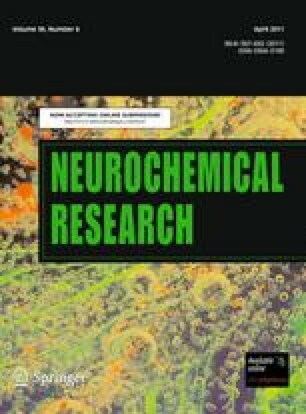 Possible neurobiological functions of aspartate in immature neurons include activation of cAMP-dependent gene transcription and in mature neurons inhibition of CREB function, reduced BDNF expression, and induction of excitotoxic neuronal death. Recent findings suggest new experimental approaches toward resolving the functional significance of aspartate release. Special Issue: In Honor of Dr. Dianna Johnson. I thank the many collaborators who contributed their efforts toward these studies. Special thanks go to Dianna Johnson, without whose collaboration the study of excitatory hippocampal transmitters might not have got off the ground, and Carl Cotman, who supported and encouraged this line of research. I also wish to acknowledge the generous support of my laboratory’s studies of aspartate transmission by grants NS 16064 and NS 47096 from the National Institutes of Health.